Why is environmental quality an animal issue? When we hear about surface-water pollution, we tend to look for the nearest city water intake, or the homes in the area that are still using wells. As long as the water supply is sound or treatable, we relax. But when a group of migrating waterfowl see a body of unoccupied surface water, they might just land there. If it's flowing water, fish and other aquatic animals might just follow it. If its banks have green vegetative cover, aquatic and semi-aquatic animals might just come to it, looking for habitat and/or drinking water. Wild animals, at times in their lives, migrate. It's in their genes. They look for new territory. Even if it's polluted (and they don't notice right away) they might just find it and try to make a go of it: finding shelter, searching for food, and maybe finding a mate and trying to start a family. But if it's polluted, then they're eating, drinking, and living in the pollution. We can relax because we've got our safe homes, our clean underground water and filtering systems, the buffer zones we keep between our residential areas and our industrial areas, our doors, windows, and air filters. The wildlife don't have these comforts, and they can't relax. That's why environmental quality is an animal issue. NASA.2008. 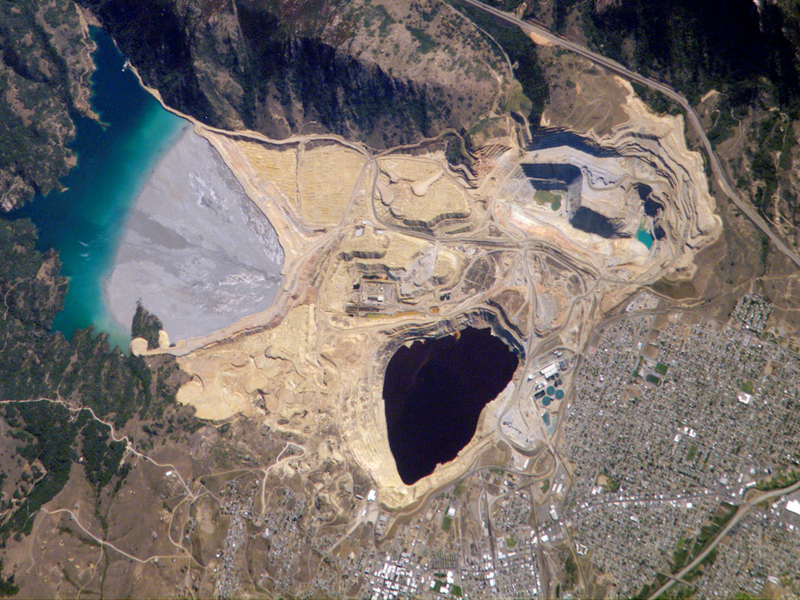 “Berkeley Pit: Butte, Montana.” National Aeronautics andSpace Administration (NASA). Dunlap,Susan. 2016. “Butte Mine Officials: Snow Geese Deaths Number intothe Thousands.” Montana Standard, December 7. What's the meaning of the term "animal rights"? There are strict definitions of the terms "animal welfare" and "animal rights," but there are other legitimate meanings. Although an individual on either side of the question might try to limit a discussion of "animal rights" to a single, straightforward definition, the fact is that the term "animal rights" is often used informally to encompass a mixture of two or more meanings. When the ASPCA defines The Five Freedoms (Farm Animal Welfare Council et al. 1979), it refers to animal welfare. But the question remains, what are people's motivations for providing The Five Freedoms? For some, it's their faith in the bible: when God gave man dominion over the earth, He gave man the responsibility to rule wisely and fairly. For others, creation stories portray man in relationship with his/her fellow creatures, ranging from relatives with shared destinies (Carroll 2013) to adversary (Bible: Genesis 3), to lord. Personal philosophies acknowledge that every living thing has "natural rights" (see quotes from Jean-Jacques Rousseau, Jeremy Bentham, Edward Nicholson, Arthur Schopenhauer, John Stuart Mill, etc. ; e.g. in the Wikipedia article on "Animal Rights"). In other words, don't let some bully (e.g. 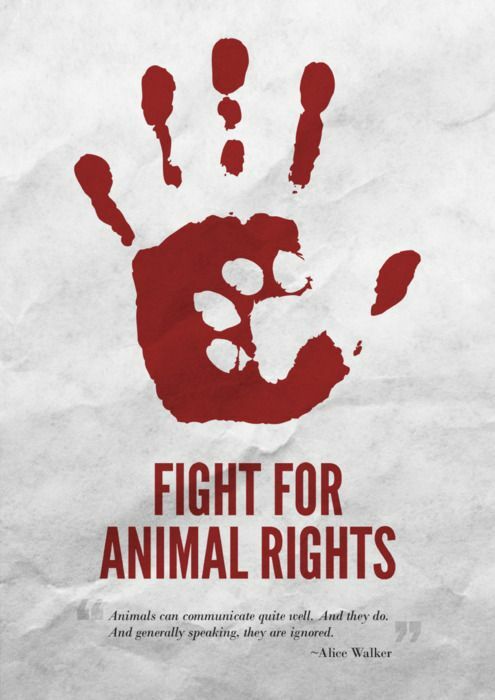 NAIA 2016) convince you that "animal rights" is impossible because it wouldn't work in court. It works in life, and that's what matters. Bible, Book of Genesis. Chapter 3. Farm Animal Welfare Council, Farm Animal Welfare Committee, ASPCA, and RSPCA. 1979. “Five Freedoms of Animal Welfare.” American Society for the Prevention of Cruelty to Animals (ASPCA). NAIA. 2014. What is Animal Welfare and why is it important? National Animal Interest Alliance (NAIA). What does it mean that some animals are not categorized as "game"? A "game" animal is one that's desired by hunters. Usually because it's good eatin'. That's it. There's very little science behind it. In the U.S., game animals are protected by State and National "Game & Fish" laws (or "Fish & Game" or "Hunting & Fishing" or "Conservation" or "Environment & Natural Resource" or "Wildlife" laws, depending on how the traditions or progressive movements in each State have set or updated the terminology). Why? In order to regulate the annual harvest so that there will always be good hunting and fishing, with opportunities available to everyone on a fair and democratic basis, and without causing unnecessary suffering (a very quick summary of the North American Model of Wildlife Conservation). There's quite a bit of art and science behind how to do all of that; but it's not always as broad-minded as it could be. To the contrary, it tends to focus on providing good hunting and fishing--to the exclusion of other ethical, social, and ecological considerations. And, conversely, why aren't non-game animals protected in the same way? That's a harder question to answer, and we'll get to it below; but first let's look at the lists of protected animals, and what those protections are. In the State of Minnesota, the list of "Big Game" animals is fairly short: deer, moose, elk, bear, antelope, and caribou. "Small Game" includes game birds, gray squirrel, fox squirrel, cottontail rabbit, snowshoe hare, jack rabbit, raccoon, lynx, bobcat, wolf, red fox and gray fox, fisher, pine marten, opossum, badger, cougar, wolverine, muskrat, mink, otter, and beaver. "Game Birds" include migratory waterfowl, ring-necked pheasant, ruffed grouse, sharp-tailed grouse, Canada spruce grouse, prairie chickens, gray partridge, bobwhite quail, wild turkeys, coots, gallinules, sora and Virginia rails, mourning dove, sandhill crane, American woodcock, and commonsnipe. "Game Fish" include walleye, sauger, yellow perch, channel catfish, flathead catfish; members of the pike family (Esocidae) including muskellunge and northern pike; members of the sunfish family (Centrarchidae) including largemouth bass, smallmouth bass, sunfish, rock bass, white crappie, and black crappie; members of the temperate bass family (Percichthyidae) including white bass and yellow bass; members of the salmon and trout subfamily (Salmoninae) including Atlantic salmon, chinook salmon, coho salmon, pink salmon, kokanee salmon, lake trout, brook trout, brown trout, rainbow (steelhead) trout, and splake; members of the paddlefish family (Polyodontidae); members of the sturgeon family (Acipenseridae) including lake sturgeon, and shovelnose sturgeon; and hybrids of the above. And a final enumerated category, "Protected Wild Animals" includes all of the above plus rough fish, minnows, leeches, alewives, ciscoes, chubs, lake whitefish, the subfamily Coregoninae (whitefishes and ciscoes), rainbow smelt, frogs, turtles, clams, mussels, wolf, mourning doves, and wild animals that are protected by a restriction in the time or manner of taking, other than a restriction in the use of artificial lights, poison, or motor vehicles. Date range in which the animals may be taken. Bag limit and annual limit on the number of animals that may be taken by each person with a license. Number of licenses, and/or statewide and regional harvest goals. Reliability and power of the weapons and other equipment that may be used to take the animals. Technical sophistication of the weapons and other equipment that may be used to take the animals. Correct usage of the weapons and equipment, resulting in the quick unconsciousness and death of the target animals. Correct usage avoiding the incidental deaths of non-target animals. Never fear for the swans, raptors, and other migratory birds that might appear in Minnesota unexpected, or that might pass through the State on their way North: they're federally protected. Some of the federal protections preclude State hunting & fishing seasons, while others specify some of the parameters of those seasons. "Unprotected Wild Animals" in Minnesota include all those that are not on a list. Some of these are weasel, coyote, gopher, porcupine, striped skunk, unprotected birds, and many of the rodents (e.g. woodchucks, prairie dogs, rats, voles, and mice) and moles. It's important to note that this is a "default" category, meaning that animals are not formally listed in it; rather that animals end up in this category only if nothing further is done to protect them as "game." Some would have you believe that there's an alternative explanation--one that only those "in the know" (e.g. their buddies and themselves at the sportsmen's club) are qualified to explain--but no, it's just the default: not listed as "game." The last sentence of the Minnesota definition of "Protected Wild Animals" says something about the meaning of the default category "Unprotected Wild Animals." It lists the basic protections that are provided to all animals: "restrictions in the time or manner of taking, other than in the use of artificial lights, poison, or motor vehicles." In other words, all wild animals are protected from unreasonable exploitation or abuse by certain human technologies that make killing quick, easy, and--for the perverted--"fun." Limited taking in certain sanctuaries. Limited hours of hunting & fishing. Limited use of artificial lights. Limited use of "radio equipment." Limited use of night-vision and thermal-imaging equipment. Limited use of poison: according to label regulations (or other specifications). No direct pursuit or harassment using a motorized vehicle. No direct killing using a motorized vehicle. Actual definition: not included in any category of "game" animals. Misconception: "Unprotected" means "Killing a lot of them makes us heroes." Misconception: "Unprotected" means "The government needs our help; we should kill as many as we can." Misconception: "Unprotected" means "The government doesn't care; we can treat them any way we want." Misconception: "Unprotected" means "They don't have natural predators anymore; we need to take over that role." Killing a lot of coyotes, for example, without effective targeting to solve specific problems, is known to be counter-productive in terms of population control, livestock-depredation control, and public safety. In reality, it makes a hunter an anti-hero. It would be one thing if the government were to design a lethal predator-removal program, targeted to solve specific problems and known to solve those problems; but it's another thing altogether for vigilantes to make up their own programs, generally without any of the advanced research that's needed to design them or the advanced knowledge, skills, and budgets that are required to implement them. In other words, "the government" and "the government's need for our help" are figments of the vigilantes' imaginations. "The government"--even if it's not equipped to respond to every violation of laws against animal cruelty, animal fighting, misuse of poison, public indecency, wanton waste, or sanitary disposal of carcasses--does not condone those violations. The young, old, and weak of every wild animal species (even of the largest and most formidable predator) have natural predators. In addition, in every age class, they face a long list of other sources of mortality including disease, limitations of and competitions for food and habitat, roadkill, and legal and illegal hunting, poaching, and extermination. Hunting is not necessarily required, desired, or adaptive as an additional source of mortality. In the 2015 MN Game & Fish Bill (SF 1303 / HF 1406), the MN Game & Fish laws were weakened by allowing the use of "radio equipment" in the taking of "Unprotected Wild Animals." In the 2016 MN House Game & Fish Bill (HF 2844) and in a set of related bills (HF 2819, HF 3160, and SF 3385), a proposal was made to weaken the MN Game & Fish laws by allowing the use of night-vision and thermal-imaging equipment in the taking of "Unprotected Wild Animals" (or in HF 2819, in the taking of "predators" including wolf, coyote, fox, lynx, or bobcat). The argument made by a coyote hunter testifying on behalf of the allowance was that he's going to be hunting at night anyway, but that the equipment would give him a better view of the target than a spotlight, which tends to show only the reflected light in the eyes of the potential target animals. The counter arguments presented by the MN DNR Division of Enforcement were that, considering all of the conditions in which the equipment would be used if it were allowed, it would not give hunters as good a view of the target and what lies beyond it as hunters have in moonlight with a white snow backdrop. The Minnesota allowances for coyote & fox hunting with spotlights limit hunters to a certain date range, hunting method, and firearm type (Jan 1 - Mar 15, calling on foot, using a shotgun). The proposed allowance would not have set the same restrictions for the use of night-vision or thermal-imaging equipment. The State of Minnesota does not have a predator-control program for coyotes. It certainly does not have a coyote-extermination program. Officially speaking, the State of Minnesota neither encourages nor discourages coyote hunting, nor does it support any of the "imaginary definitions" described above, nor their supporting mythologies. They're regularly killed by farmers to protect livestock (it would be a lot of work to issue special permits for this purpose). They weren't common in the State when the lists of "game" animals were made. They weren't commonly hunted in the State until relatively recently, and they still aren't a popular target animal for hunting. They weren't trapped for fur in the State until relatively recently. The next time someone proposes a weakening of the Game & Fish regulations on the basis of an imaginary definition of the default category "Unprotected," it couldn't hurt to call it out as such, and restate the ethical principle that all animals deserve protection from unreasonable abuse. We need those regulations at full strength. Snapshot from the MN DNR web page on urban coyotes. Why is there a controversy about toxic vs. non-toxic ammunition? On 3/10/2016, the Minnesota Department of Natural Resources (MN DNR) held a public forum on a "possible requirement that only non-toxic shot be used on wildlife management areas in Minnesota's farmland zone." This was a follow-up to a request for public comments in October 2015. "Non-Toxic Shot on Farmland WMAs." Minnesota Department of Natural Resources. 10/5/2015. "Minnesota DNR's Lead Ammo Ban Proposal in Lawmaker's Sights." by Dave Orrick, Pioneer Press. 3/10/2016. "Lead Ammo Debate Heats up." by Tony Kennedy, Star Tribune, 3/12/2016. Supporters of proposal at the 3/10/2016 forum included hunters, conservation organizations, and wildlife-rehabilitators. The main opposing argument from the Safari Club representative (and several testifiers repeating it) was that no significant population-level impact has been proven. In other words, the numbers of raptors (and other predators and scavengers) that have been brought into wildlife-rehabilitation centers with lead poisoning over the years has been lower than the numbers killed by collisions with vehicles, power lines, and window glass. Remember that the known number of cases of lead poisoning is certain to be lower than the actual number. That there's an easy solution: switch to non-toxic ammunition. Take a look at the price chart posted at the back of the room--toxic vs. non-toxic at each level of ammunition--small differences in price. Steel is cheaper than lead: as more people switch to non-toxic ammunition it will become cheaper than toxic ammunition. Almost any shotgun with a modular choke can be fitted for non-toxic shot. Non-toxic shot--weighing less than lead shot, but therefore fired at higher velocities--is highly effective for hunting. Yet, what the Safari Club representative wanted to talk about was what we don't know about how the deaths of wildlife from lead poisoning, and what we do know about their deaths in collisions with vehicles, power lines, and window glass. In other words, the real reason wasn't mentioned. The real reason is "we don't like you telling us what to do." Screenshot from the MN DNR presentation on the proposed non-toxic shot rule. Left, Right, Fish & Game: comparison #1: what's a quick death like for an animal? This ought to be an easy question to answer, right? Everyone knows "the answer." But only a few animal workers and veterinarians have gathered data--and, of course, it depends on how the animal dies. To make the question simple enough to approach (for mortal souls), let's only examine the "quick death" that's delivered by a skillful hunter or trapper using lethal methods. This blog entry is not meant to be an authoritative answer to the question, just a questioning of people's answers from the various extremes. For three of the extreme viewpoints, let's go to a statement by Dr. David Mech (world-renowned expert, etc., etc., on the topic of wolf management) in a 1/26/2012 informational hearing at the MN House of Representatives (Mech 2012). At the time of this hearing, the Gray Wolf in the Western Great Lakes region had just been "delisted": removed from the protection of the U.S. Endangered Species Act. Dr. Mech summed up the emotional/political divide of the people of Minnesota as follows: "We've got a lot of people who think that no wolf should ever be allowed to live, and a lot of people who think that no wolf should ever be killed, and so the DNR is in a position of having to meet not only the expectations of those groups, but also the general public." In his simplification of the issue, Dr. Mech left out the context of what people believe; why they believe it; what plan, exactly, of the Minnesota Department of Natural Resources (DNR) he was condoning; and how that plan was intended to meet people's expectations. He went straight to his conclusion that the Minnesota Department of Natural Resources (MN DNR) should be left in charge of how wolves are killed (since the nuts on both extremes couldn't be trusted with such weighty decisions, and the general public just wanted someone with a proper image to handle it for them). Let's examine these three points of view: "right" and "left" as described by Dr. Mech, and "fish & game officials" as recommended by him. As for the rest, it's hard to know what to say; but let's also consider a third option of "full awareness." On the one hand is the extreme "left," in which the prevalent belief is, for example, that "no wolf should ever be killed." An example of this and the opposite viewpoint can be seen, very emotionally, in the "deer scene" from the movie "Powder" (Salva 1995). The scene can be found on YouTube by searching for those keywords (be careful how you arrange them, though, because a search for "Powder deer scene", might is likely to find a bunch of black-powder hunting videos, Daniel Boone-style). If you're an anti-hunting activist, though (or a hunting activist who's dismissed it as a fantasy), you already know the scene. In this "deer scene," a fictional young man with supernatural empathic abilities conveys the powerful emotions of a dying deer to a fictional hunter who previously had no such feeling in his heart, and no such idea in his head. The emotions were scripted as the movie producers imagined them to be, or as they wanted to impress them on children, or as they wanted to embarrass their negative, emotionless models from childhood, or something. The actors played their parts and hit all their marks, but without the benefit of firearms-safety training, or medical or veterinary knowledge, or a balanced point of view. The actor who played the "hunter" blabbered something incoherent, but manly-sounding, before he was taken over by the power of the deer's dying emotion. The young men following him rushed to his aid, and carefully positioned the rifle for cinematic effect in the midst of their group--clearly pointing in the very wrong directions of first one, then another young man's head (which goes to show that no one involved knew the first thing about hunting). For the *impressionable*, this scene is convincing; but for the *unimpressionable*, it's nonsense--and further evidence for Dr. Mech that these anti-hunting nuts must never be given a voice in wildlife management. This video poses a problem for the cause of animal protection, and of course it does not constitute evidence of "how things really are." It's just a portrayal of the two opposite points of view. On the other hand is the extreme "right," in which the prevalent belief is, for example, that "no wolf should be allowed to live." Examples of this anti-fantasy attitude, this lack of emotion, this absolute certainty in the propriety of killing can be found on YouTube by searching for a phrase like "death in conibear trap." One of them can be found on the YouTube channel of user "5911ryan" with the title "Beaver getting caught in trap" (5911ryan, 2011). Fair warning: it's not what most on the "left" would be willing to watch. The true-life video by user "5911ryan" clocks the death struggle of a beaver whose neck has been clamped in a body-gripping trap--no blood flowing to the brain or oxygen to the lungs. The narrator gauges the declining strength of the beaver's struggle (with a premature diagnosis that the movements are involuntary spasms). As the beaver dies, the narrator recites the elapsed time and describes the setting, the trap, the animal, and his own assessment of what the animal's poor prospects would surely have been in its undersized wetland. The trapper's assessment is that this quick death (2 minutes and 9 seconds until it stops moving) is a merciful alternative to what would have been the animal's slow demise in nature. For the *unimpressionable* (those who don't sympathize with the feelings of the beaver in its death throes), this scene is as simple as the narration: a matter-of-fact, clinically-recorded description of "how things are." But for the *impressionable* (those with compassion for the tragic and unnatural loss of the beaver's life, and for its obvious panic in the last, cruel moments of its death) it's a view into the pathological workings of a human mind. This video poses a problem for the cause of sportsmanship, and of course it does not constitute evidence of "how things really are." It's just a presentation by one of the two opposite points of view. Somewhere in-between those two extremes of "left" and "right" are fish & game officials (for example, Dr. Mech and the MN DNR). They have a solution: just leave them in charge of how wild animals are killed, and they'll handle it from there. They know "best," after all, how to express controversial subjects in neutral terms that won't get so many people riled up and thinking about the details, or the behavioral biology, or the painful emotions. They know "best" how to judge from their statistics of total kills vs. complaint calls about wounded deer, that the deer in the scene from the movie "Powder" would have most likely been overwhelmed by shock following the massive destruction of its cardio-vascular system and internal organs by the well-targeted, high-powered rifle bullet; and that the deer would probably have slipped quickly into unconsciousness and death with little or no suffering from human-like fear or other strong human-like emotions. Above all, they know "better" than to get into the clinical details of an individual animal's death, necessary or unnecessary, in shock or in emotional panic. They know that it will be "far more prudent" for them to avoid all of those details, and instead to generalize about the success of the deer population as a whole, the legal take of the sustainable harvest of deer, and the outdoor-recreational opportunity that's provided to deer hunters by the hunt. "Evidence," for fish & game officials, is any piece of information that can be cherry-picked and presented to make their case look convincing. Now, here's a fourth perspective that few people ever consider: veterinarians study these things. Contrary to the popular "fish & game" euphemisms of drowning as "hypoxia," "anoxia," or "euthanasia," it turns out that drowning is not such a pleasant thing (Ludders et al. 1999). Same for the violent obstruction of blood flow and air supply by a lethal trap or snare. And, contrary to fears on the "left" of how much fear and suffering there "must be" in the death of an animal caused by a high-powered gunshot with massive hemorrhaging of the vital organs; well, probably there wasn't much time for that before the immediate onset of shock, stupor, and loss of consciousness (Butler 2010). To summarize the four viewpoints above, some on the "left" believe they know exactly how passionate an animal's death is; some on the "right" believe they know that it's free from passion; those who have been put in charge of "fish & game" believe that it's "best" if people don't think too much about any of that; and a few, quiet veterinarians have stress-hormone readings to share with anyone who's willing to face the facts. The first three positions seem to account for the majority of concerned parties, and the fourth is largely ignored. But if we were fully aware, what would we know about what's it like for an animal to die a quick death? Obviously, it would depend on the animal and how it died. Although the awareness of such things can be unpleasant, it's also necessary in order to know how to resolve the social conflicts. On the "left," the producers of the movie "Powder" don't seem to have any real information that could be put to practical use. On the "right," trappers like the one who made the "time to loss of consciousness" video don't see any problem that needs to be resolved. And, in order to keep the peace, the only thing the fish & game officials know how to do is to make everything look good (without resolving anything). No one calls on the veterinarians unless they really don't know what to do. If we were fully aware of the life of another being, would that being's unnecessary death be a cause for sadness? Even if other lives in that population and the population itself were to succeed; even if it was "legal taking" of a "sustainable harvest;" even if the sentient mind of that being were relieved of its suffering by shock, followed by quick unconsciousness and death; even if it was a lone wolf with no family to mourn its loss? If we were fully aware of that sadness, would our primary goal be to minimize that sadness (rather than the four options above)? If we were fully aware of the social conflicts between the different viewpoints, would our secondary goals be to minimize our own over-dramatization ("left"), self-righteousness ("right"), non-questioning of authority ("fish & game") or authority's abolitionists ("left" *and* "right")? Would we seek to minimize the mutual condemnation in which these groups habitually spend most of their effort? If we were fully aware (having reached "enlightenment," but still with both feet on the ground), would the proposed "solutions" of "left," "right," and "fish & game" hold out any kind of hope that these social conflicts would ever be resolved? I don't know; I'm seeking that kind of enlightenment. "5911ryan". 2011. Beaver Getting Caught in a Trap. “How-To” Videos about Trapping. Saskatchewan, Canada. http://youtu.be/YXawrM46EU8. Butler, Amy. 2010. “Shock - Recognition, Pathophysiology and Treatment.” District of Columbia Academy of Veterinary Medicine. October 1. http://www.dcavm.org/10oct.html. Ludders, John W., Robert H. Schmidt, F. Joshua Dein, and Patrice N. Klein. 1999. “Drowning Is Not Euthanasia.” Wildlife Society Bulletin 27 (3): 666–70. Mech, L. David. 2012. Dr. David Mech, U.S. Geological Survey, Discusses Wolf Management in Minnesota. Minnesota Department of Natural Resources. Saint Paul, MN, USA. http://www.dnr.state.mn.us/mammals/wolves/mech_testimony.html. Salva, Victor. 1995. Powder. Hollywood Pictures, Caravan Pictures, Buena Vista Pictures. http://www.imdb.com/title/tt0114168/. Figure 1: screenshot from the deer scene of the movie "Powder" (Salva 1995). How can I practice non-lethal wildlife control at home? Killing is not the best solution. Summarized from the 2014 fact sheet by the Humane Society of the United States (HSUS). Most people enjoy wildlife outdoors, but not in the house. How do you get an uninvited guest to leave? Unwanted wild guests can be evicted humanely and permanently. What is non-lethal wildlife control? It's the best way to manage human-wildlife conflicts without killing (and generally without relocating). It focuses on sealing entrances and removing attractants. Learn something about the animal, and about the top ten problems with the animal. Find a humane pest-control service. Selecting the right company makes a difference. You need to know whether they will be required to kill the animal, or whether they will offer the humane option of non-lethal control. You probably don't want a quick fix that will leave your home open to the same problem again. Entry points should be sealed off so that your home will be permanently protected. Seal entries (first with exit-only doors, then with permanent chimney caps, crack fillers, etc.). Remove attractants (seal food sources and garbage cans). Find products to help resolve wildlife conflicts. Fair Chase is a concept that's partially defined in hunting ethics. For example, it's partially defined in a position statement of the Boone and Crockett Club, but with the qualification that "...as with any guideline that applies both under the law and within those things that cannot and should not be legislated, interpretations can vary..." In other words, the definition of "fair chase" is, to a large degree, left up to discretion of each individual. However, here's their general definition: "the ethical, sportsmanlike, and lawful pursuit and taking of any free-ranging wild, native North American big game animal in a manner that does not give the hunter an improper advantage over such animals." Let's take note of a few things about this statement. First, it's limited to "big game" (not including "small game" animals, not including unprotected or non-game animals, not including fish); second, it doesn't define the term "improper." We may assume that the club's position is that this definition should not be legislated. Another part of this statement allows for the use of technologies and methods that each individual feels are right, acceptable, and necessary for success. Another statement from the Boone and Crockett Club seems to refer to this allowance for what's necessary for success: "Bear baiting is a legal method in Saskatchewan and in addition to affording the opportunity to see a number of animals, baiting also affords close inspection and encourages selective harvest of mature males." That's one good point in favor of bear baiting. There are a number of points against bear baiting, including a number of negative effects that follow from feeding wildlife, including the building of dependence in wildlife on artificial and unpredictable sources of food, the concentration of wildlife at feeding sites, poor nutrition, and the acclimation of wildlife to humans and human environments. Searches for the phrases "junk food" and "pastries" on the Boone and Crockett Club's website on 10/1/2014 didn't return any statements. In other words, because bear baiting can be done responsibly, the position seems to be that bear baiting is okay. There are a number of other Position Statements of the Boone and Crockett Club, including some encouraging positions against clearly improper practices; but they're never going to cover every case, and they're generally going to make room for individual discretion. As far as that goes, it's a good thing. Of course, some guidelines should be and are legislated in game and fish regulations. It might be fair to say that regulations have been set in cases where there has been abuse. So, for example, there are limitations on the ways in which bright lights and other electronic devices may be used, how and when wildlife may be fed with the intention of taking, the trapping methods that may be used near recreational and residential areas and in other circumstances in which they might unnecessarily endanger non-target animals, etc. In other words, there are a number of things that can and should be legislated., in which interpretations are not allowed to vary. And as far as that goes, it's a good thing.